What do you like to keep track of in your bullet journal? Movie trackers are a very popular category to log. Some people like to track movies they want to see. Others only track movies after they've seen them. You may keep a simple log or make a very decorated page. 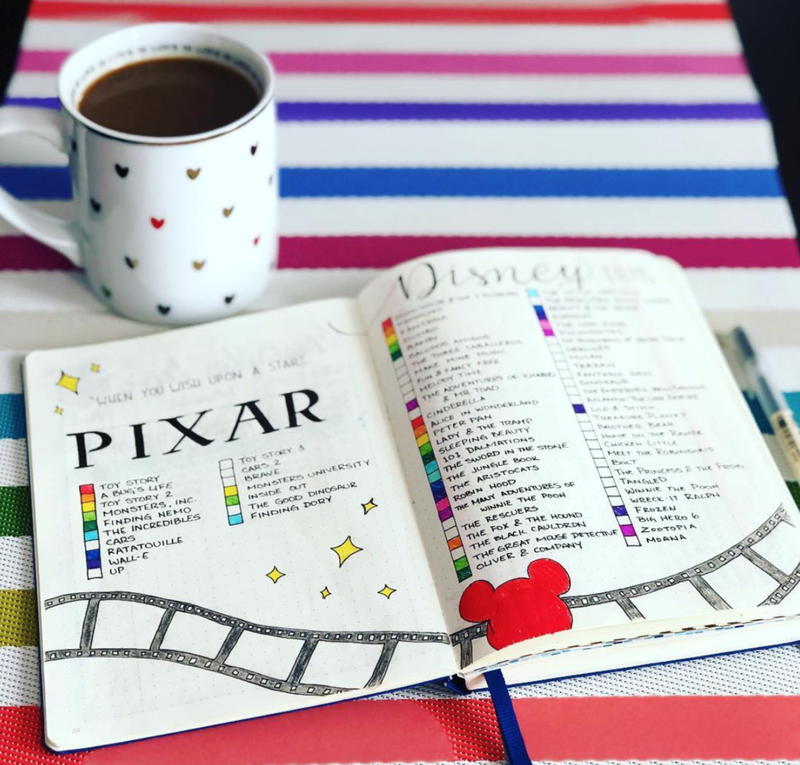 Here are some fun bullet journal movie tracker ideas to inspire you! Misterguttilla Pixar and Disney Movie trackers in Leuchtturm Dot Journal. This colorful page gets a box filled in when that particular movie has been seen. I love the rainbow colors used to fill in the boxes. 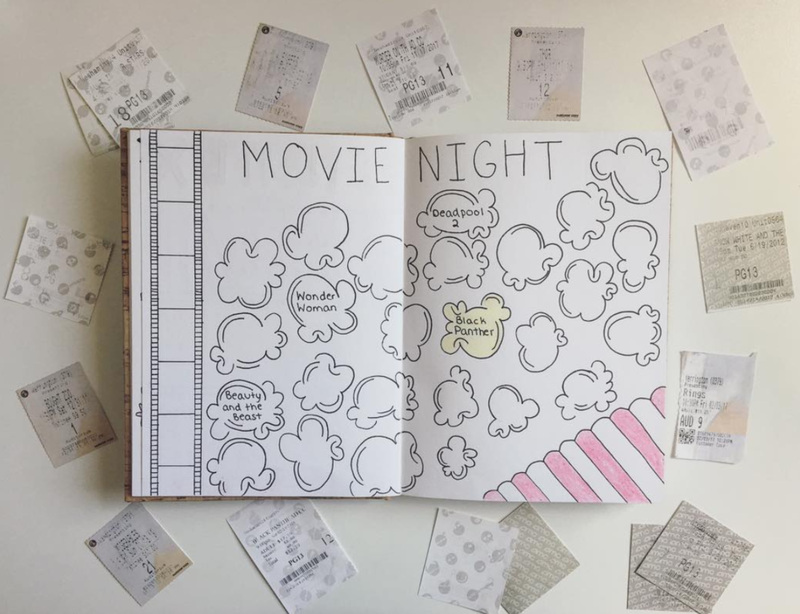 Journaling.the.journey popcorn movie tracker. Very cute! 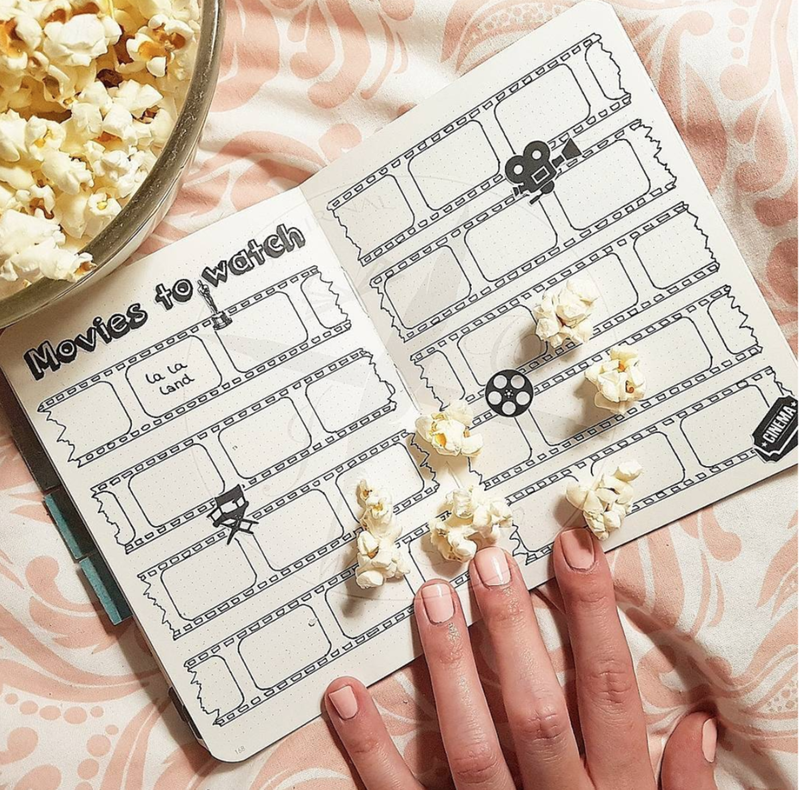 Lauraslittlecorner bullet journal movie tracker is so cute! Simple doodles set the tone for the film page. She tracks where she saw the movie home vs theater and rates each move with stars. Fearlessplans keeps track of movies with a film strip page. Then added watercolor to decorate the strips and popcorn. Bujoboo created movie tracker with perfectly lined up tickets. Then starts along the bottom of each allow for rating each movie. 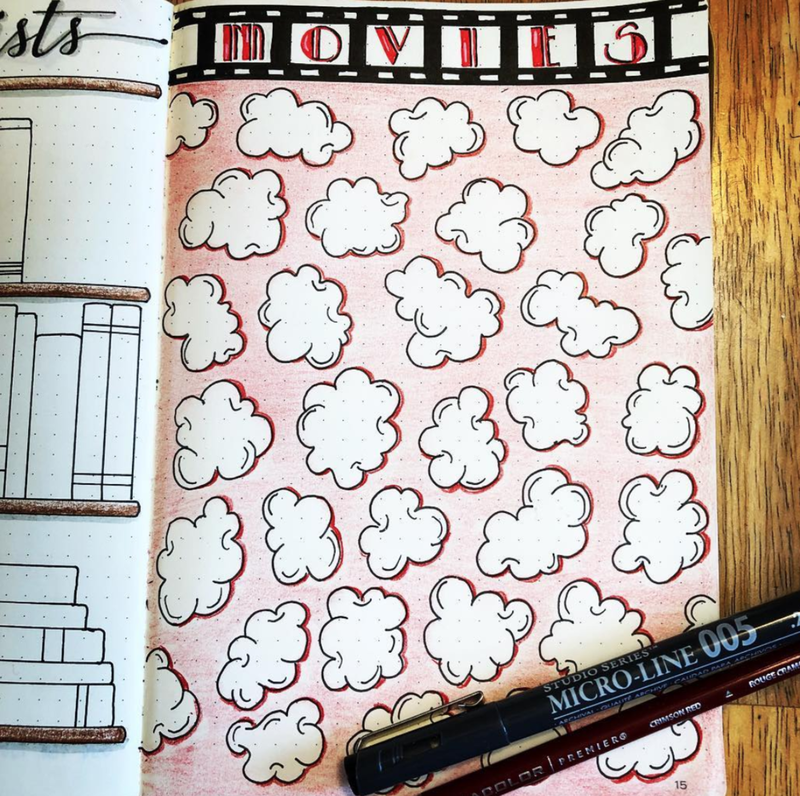 Bujo.missadventure uses movie tickets to record movies watched for the year. Then decorated with popcorn, a film reel, and a banner at the top. Plan_in_color created bullet journal movie tracker in POPCORN motif. Images were drawn using Studio Series Micro-Line Pens and colored in using Prismacolor Pencils. Movie trackers don't have to only movies you have already watched! Bujo_beginner keeps a running films to see log. When the move has been watched, it's colored in using the monthly color key. 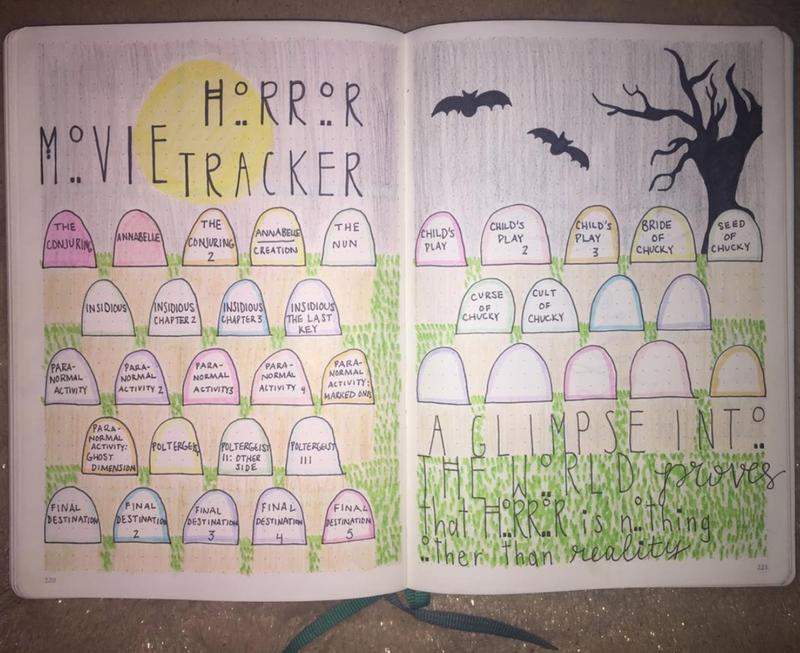 Briesbujo had fun creating this horror movie tracker! Crinspire movie tracker is a simple design with a tracker key at the bottom. There's a calligraphy style header at the top made using Tombow Markers. 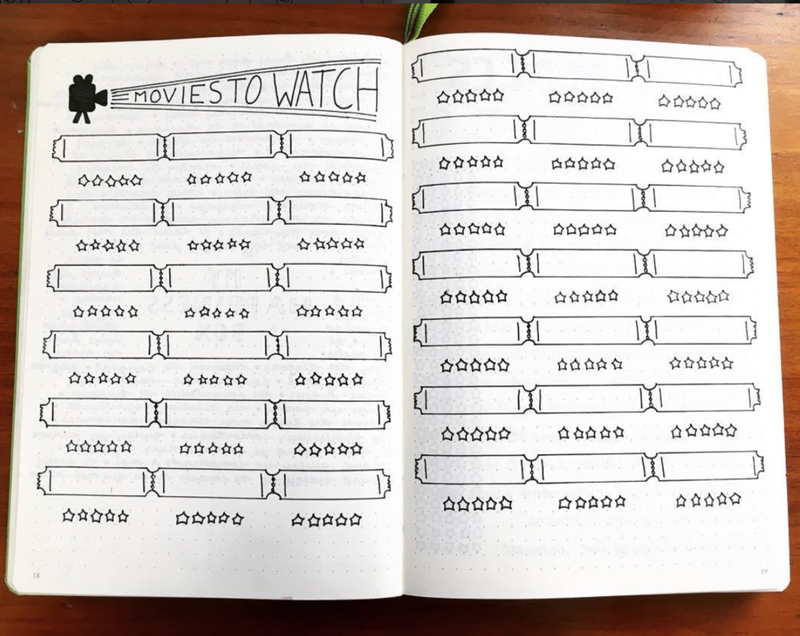 DIYbyajka movie spread in bullet journal uses movie film to track movies and two types of writing as a header. Thejournalcloud movie tracker. Is similar to the tracker shown above, but this one is a two-page spread and is decorated with movie theater stickers. The all black theme keeps it minimalist as well. Do you love trackers? 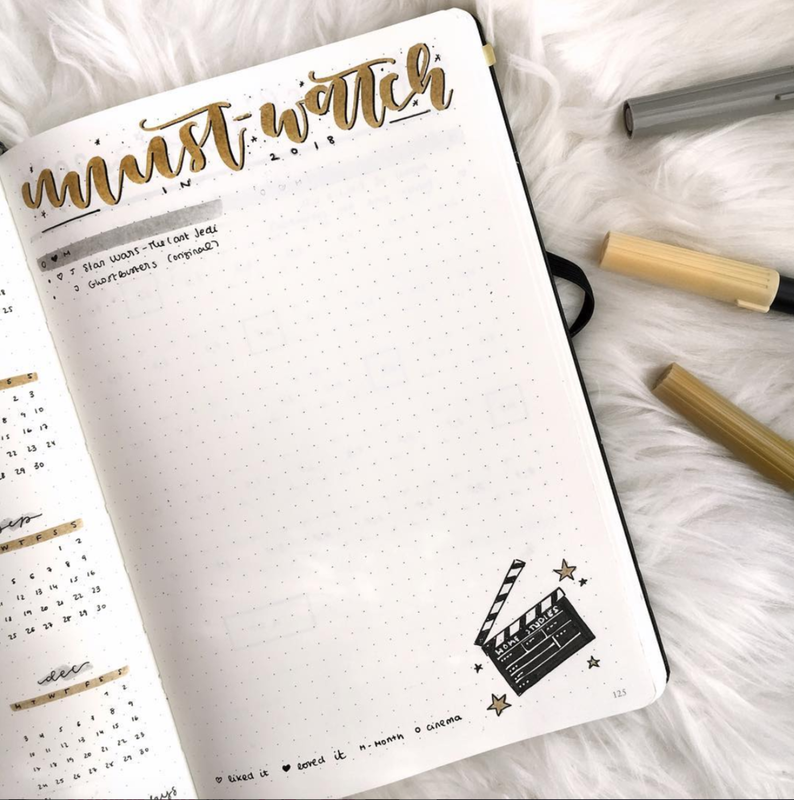 Movie trackers aren't the only thing to log in your bullet journal! Find more bullet journal tracker ideas here.